Start this Sunday with this warm and beautiful e-card. Remind your friends that its Sunday and that its time to go out and enjoy. 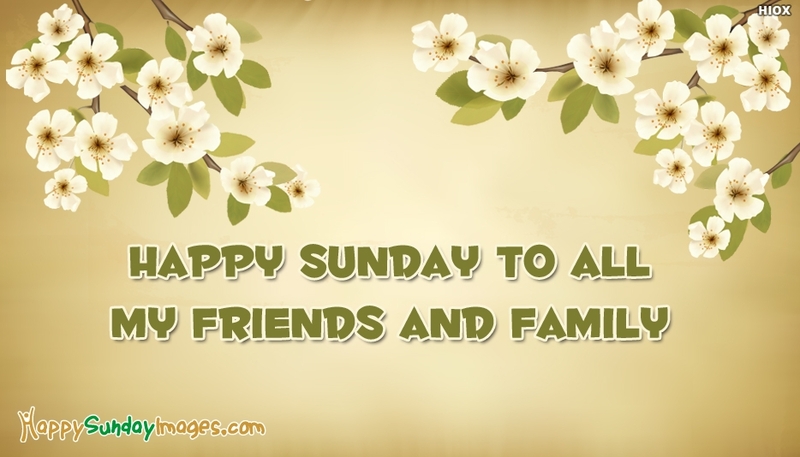 Wake up your friends from sleep through this happy sunday e-card with the message "Happy Sunday to All my friends and family". Flowers always make you feel pleasant. Send this e-card and make this Sunday more joyable.